Kore Real Estate’s commercial and residential offerings are designed to embody the Kore Principles: Quality, Value, Style, and Sustainability. Kore is focused on developing modern, affordable, energy efficient urban infill projects with an eye to innovative and cutting edge building techniques. 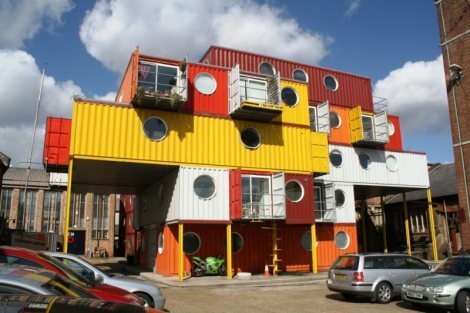 We believe that modular shipping container construction is a stylish and value-conscious option for various market sectors, including upscale urban professional housing, service-based commercial, and large-scale student or other affordable housing. Where do you think one of these modern, sleek, industrial-chic projects would fit in? We would love to hear your ideas! To discuss how our team can help you achieve your goals, please Contact us.